Those crazy Californians just can’t stop inventing stuff, eh? Here we have the Rungu Juggernaut. 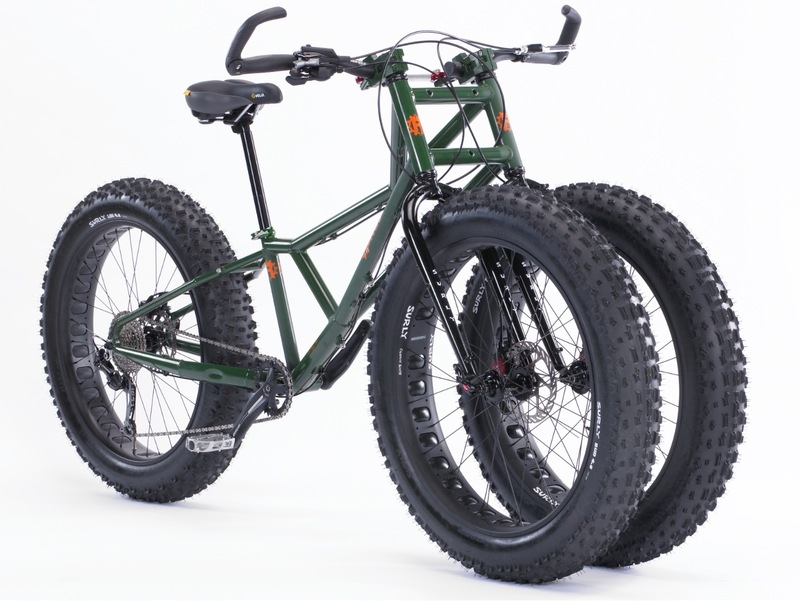 It’s a twin front-wheeled fat bike designed to offer stability in all sorts of terrain, including soft sand. It’s been out for a year or so but it has somehow escaped our notice until now. 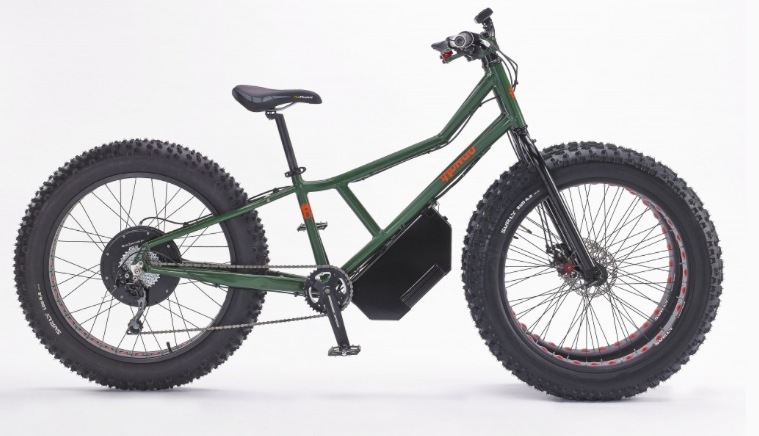 With its two front wheels controlled by linkages to two half-handlebars, it’s already in the ‘Eh, what?’ category. 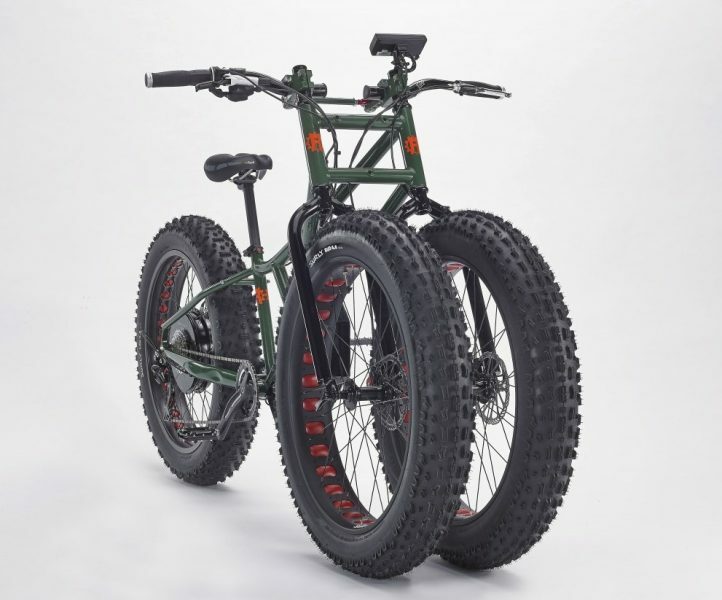 Add in a pair of ‘shoulder spaced’ fat wheels, twin disc brakes and a single 4.8in rear tyre and you have a bike that’s more ‘Look at me’ than Chris Eubank’s daily driver. 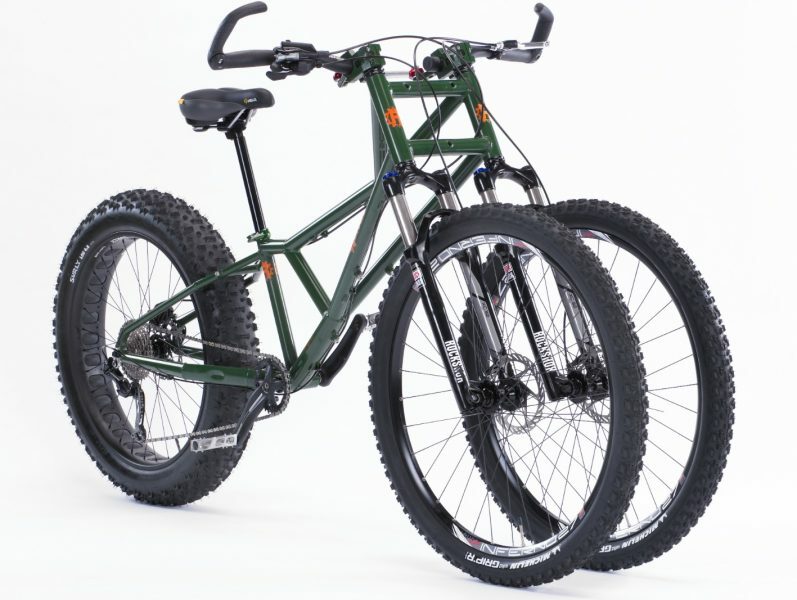 How about twin 29ers for a bit more range? The bike has appeared on the Gadget Show, showcasing some amusing tarmac characteristics. But hey, the Rungu isn’t for the road, it’s for the beach and beyond, right? I’m sure there was a post about this last year? I can’t imagine it’s very stable, especially under cornering. But I think braking would also be a problem. 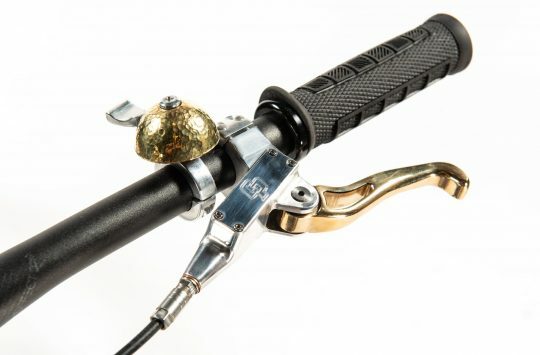 With a disc on each front wheel, if there’s any difference at all in performance between the brakes, it’s going to veer to one side under braking – no? 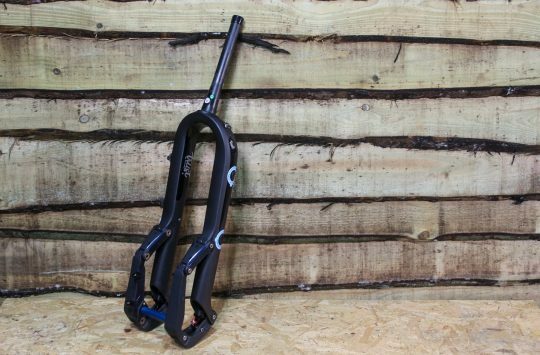 Add that to the possibilities of differences in the performance of 2 front suspension forks on the Kilimanjaro model would make me feel quite nervous! Beyond a certain steering angle will the front wheels not hit each other? Surely it’s made because they can and obviously for a laugh. “Surely it’s made because they can and obviously for a laugh”. And that’s how the world ended up with Jones’s — its a slippy slope. 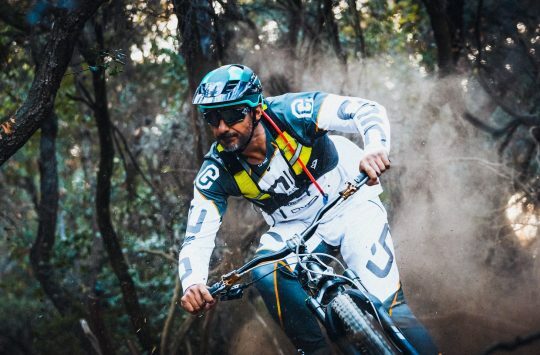 If you are riding is deep, soft snow this has some benefit because front wheel wash-out is the main reason progress is halted – the double front wheel would ride-up easier and give some stability. Then again a tadpole, recumbent trike would be even more sensible, as Maria Leigerstam proved with her Icetrike ride to the South Pole.